MegaFood Complex C contains FoodState Vitamin C combined with two colorful food blends to deliver a broad spectrum of phytonutrients to help support your immune system. Organic brown rice, cellulose, stearic acid, silica. 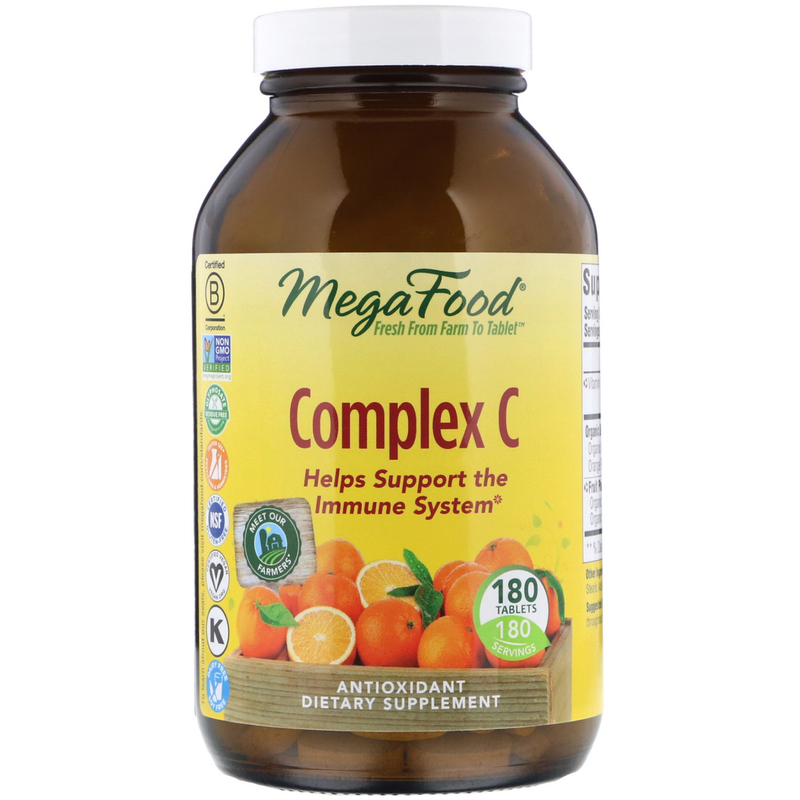 ♦This MegaFood product is made with real food and added nutrients. 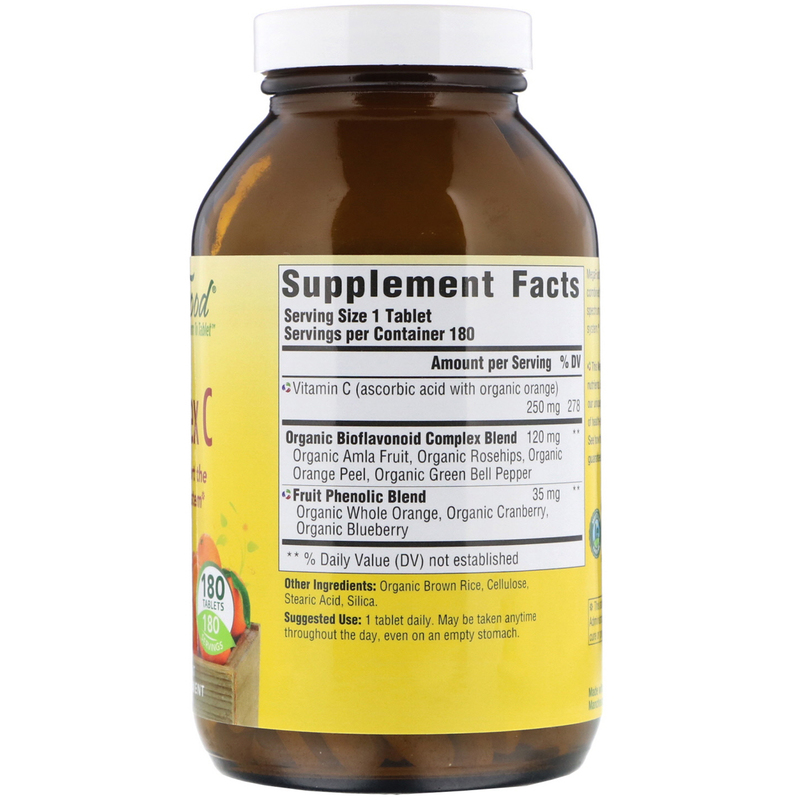 Each vitamin is paired with an ideal whole food using our unique process to deliver guaranteed potency and the benefit of health-promoting compounds present in the whole food itself.